Does lesson planning overwhelm you? Do you spend countless hours trying to write your plans and still don't feel like they work for you? Does your school have an overly complex lesson plan format? Today, I am going to talk to you about becoming a "Lesson Planning Guru." I'm going to tell you about some things I've learned over the years that really can simplify and take the stress out of writing lesson plans. I'm even going to give you some freebies to help you get started! My previous principal told me, "I've never seen anyone plan like you do!" But you all know, lesson planning is not the hard part. Getting in there with your students and delivering instruction every day, despite all of the obstacles you will face...THAT is the hard part. So let's talk about how lesson planning can be easier. This might sound pretty straightforward, but a lot of teachers do not take time to really LEARN their grade level's standards. Do you know what standards your state has for your grade level? Are they Common Core? Are they state standards that are EXACTLY the same as Common Core? My favorite app to use is the CommonCore app by MasteryConnect. It's free! You can easily sort the standards by subject and grade level. Another reason why this app is so helpful is because you can easily look at the grade level before yours, and the grade level after. This helps you understand what your students should already know and what they'll need to know for next year. Take the time to read your standards and learn them. Research them--especially if you are new to your grade level! Understand what will be expected of your students. Along with knowing your standards, it's really important to develop a plan for the year. What is your ultimate goal and how are you going to get there? Of course, we'd all like to get our students on grade level by the end of the year, but depending on your class this is not always possible or realistic. I have seen whole classes of students (who have not had the best teachers) who have HUGE holes in their understanding. Not only do they need to be exposed to and taught the current grade level's standards, they also need tremendous amounts of remediation to fill in the gaps. (You can't skip this!) These are things to keep in mind when you are setting your goals. I think it is so important to have a pacing guide for the year. Your district might have one in place, but if they don't, you should create your own. After you have learned your standards, you have to think about the order they should be taught. Some standards depend on others. With math, the standards are pretty much taught throughout the year, in an order that makes sense, and then are briefly reviewed at the end of the year. ELA tends to repeat standards throughout the year. (In other words, you aren't only going to teach text features one week and never mention them again. It will spiral.) Understanding this can help you pace your year. Download your free copy of this pacing guide template when you sign up for my mailing list. First and foremost, you need to set a steady, aggressive pace. I say this because, in my opinion, there are too many standards for one grade level. (Especially third!) You cannot go at too slow of a pace or you will NOT cover all of the material! However, you want to give your students time to learn the standards, so progressing too quickly can also cause issues. Build in buffer days and try to build in a buffer week each quarter. There will never be a time where you have nothing to do these days or weeks. It is important to place catch up time in your pacing guide. Then, you will not fall behind. When you are creating your pace for the year, be sure to take into account any testing your school will require. Benchmarks and end of year testing take up a lot of time, so be sure to factor that in. Now you will use your pacing guide to do your short term planning. This is likely what you are required to turn in. You can sign up to get a free copy of my lesson plan template. Even though it says guided math, you can use this for any subject. The most important part of short term planning is creating a specific, achievable objective for each day. 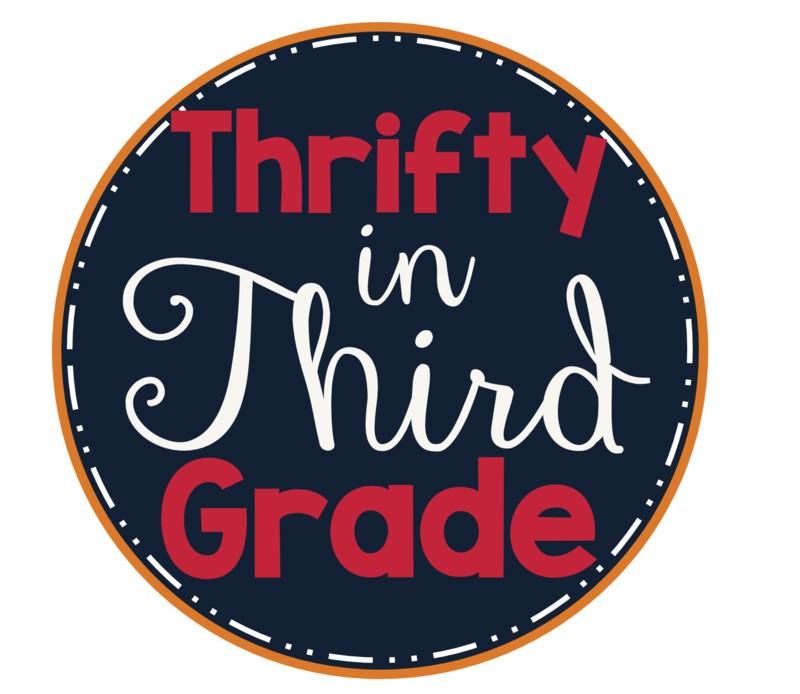 If my long term plan says I am covering third grade rounding, 3.NBT.1, I decide how I want to break this up into these specific, achievable objectives. (I talk about this a lot in my series of Guided Math blog posts, so you may have heard this before.) It is so important to have a plan for the day's lesson so you don't try to cram too much into one day. Ask yourself--what should the students be able to do by the end of my lesson? That's your objective. For more information about SPECIFIC and ACHIEVABLE objectives, check out this post. Once I have determined the objectives for each lesson, I find my materials. Pinterest and TpT are my favorite places to look. You can find anchor chart ideas, lesson plans, activities, and more. When you are choosing materials, make sure they align with your objectives. Plan for the objectives, not the activities! If your students understand and catch on to an objective quickly--move on to the next thing! Don't stay on a standard they are successful with just because your pacing guide says so! There will likely be a standard or two that are harder for your students than you anticipated, so you will make up the time there. Be ready to make adjustments. When I am writing my short term (daily) plans, I gather all of my materials and label them with sticky notes. When I go to the copier I know exactly what that resource is being copied for. I include links to any videos or websites that I will use directly on my lesson plan. Pre and Post assessments are so important. I try to make pre and posts that are practically identical. (Of course they use different numbers for math and different problems for ELA, but they can easily be compared to show growth.) Here's a common misconception about pre assessments. They do not have to be given the day before you begin your unit. You can give a pre assessment weeks ahead of time to help you plan! I like to make sure my students understand that a pre assessment is just to help me figure out what I need to teach. I explain that, "I need to know what your brains already know!" This keeps it low stress for students. Post assessments are really important so you can see the growth your students made and any other holes they may still have in their understanding. You can use your post assessments to help make a plan for reviewing. I like to try to build in a review day each week (this is also my buffer day, so sometimes it isn't used as review), and of course review at the end of year before testing. Learn what you can be doing all year to be prepared for end of year reviewing in this blog post. 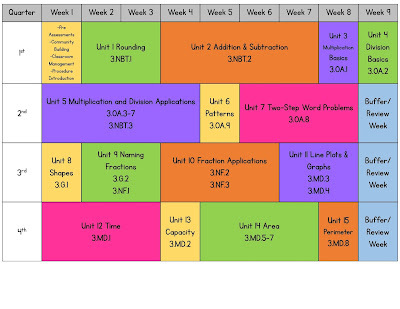 Looking for lesson plans and units that are already done for you? Check out my bundles in my TpT store! Don't forget to pin this post so you can find it later!